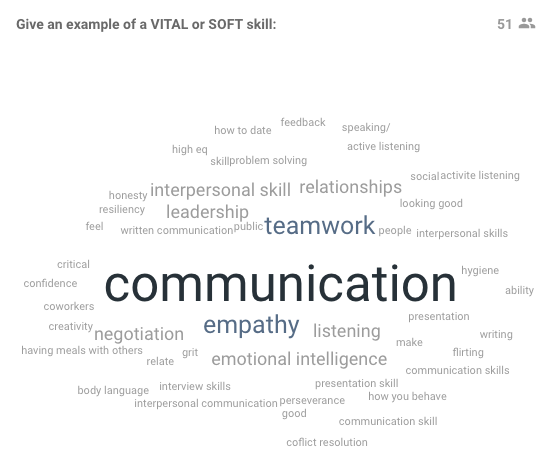 This page was created as a resource for the students in the UBC Sauder MM program and the UBC Sauder BComm students who attended my workshop on September 29, 2017 on vital soft skills for management success in Canada. Below is the framework of the 9 Core Vital Skills, the results from the student polls, and resources on mental toughness and small talk. At the very bottom is a question form for those who need more information.